The Bravo Wonder Pump 6 works on both the upward and downward motion cutting inflation time in half. Includes a long non-kink hose and a Haulkey Roberts valve adapter. SKU: WM-029. Category: Pumps, Adapters & Gauges. You’ve finished lunch and rigged your boat, and then realize that your raft is soggier than a wet sandwich. 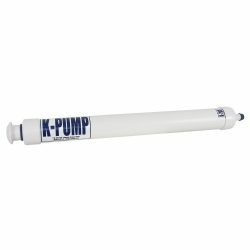 Use this pump to top off and be on your way. 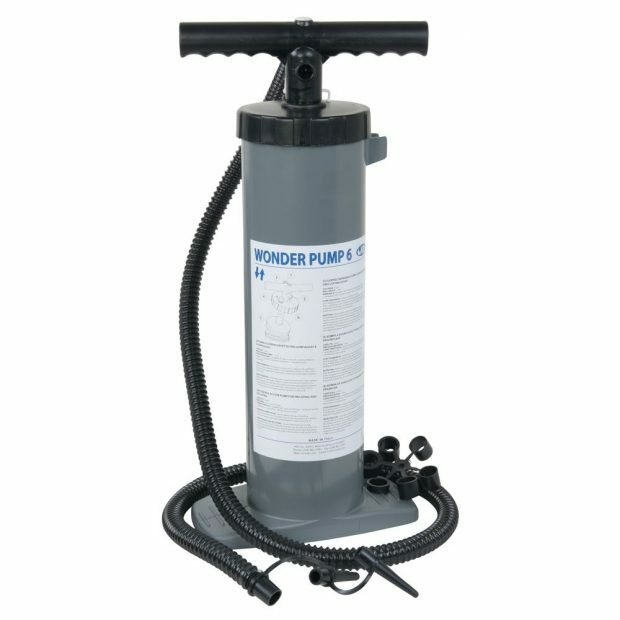 The NRS Wonder Pump 6 is a great top off pump that can easily solo for IK’s or smaller inflatable’s. 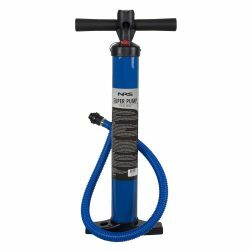 5′ non-kink hose and 7 adapters are included with the pump. 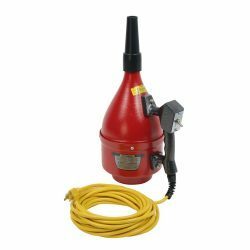 4″ diameter x 18.5″ high to the top of the handle with an 4.5″ x 8″ base. The NRS Wonder 6 has a chamber volume of about 0.69 Gal/2.6 L. In double-action mode this gives you 1.4 Gal/5.2 L per stroke. 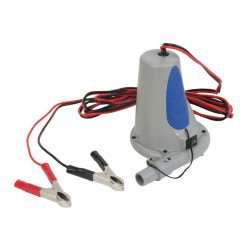 This pump includes the Halkey Roberts Lock In Valve Adapter. View cart “Blast Pump w/ Dry Bag” has been added to your cart.